In the wilderness Jesus was tempted to take things in his own hands, turning stones to bread rather than waiting for His Father to send His angels to feed him. He was tempted to become a slave to the kingdoms of this world rather than God. When the tempter left Jesus the angels came and fed him with manna from heaven. When earthly dependencies were removed, we are put in a position to depend totally on God .In my days of loss He became my strength, refuge and hope. I found joy in the Word of God rather than people, jobs and even food. My pantry was bare, my bank account was empty and my husband was gone. 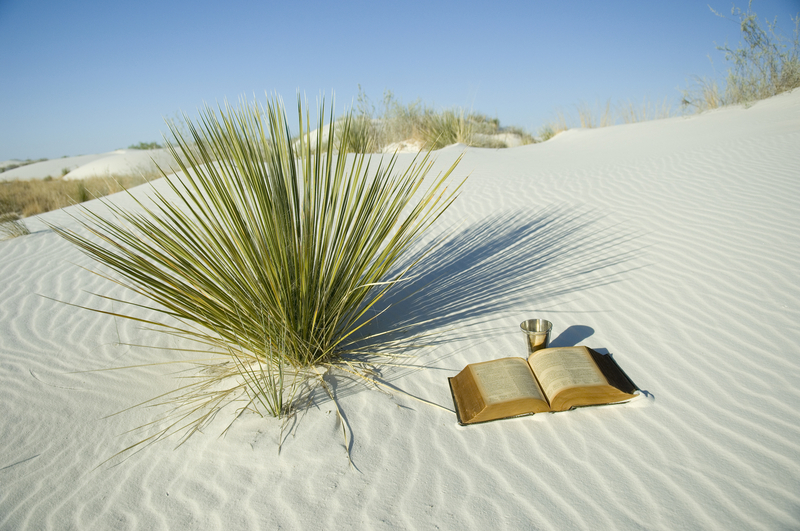 In the desert my self esteem was built on what God thought rather than what man thought. I was no longer tossed to and fro like the waves of the ocean, but learned to stand firm on what God said.